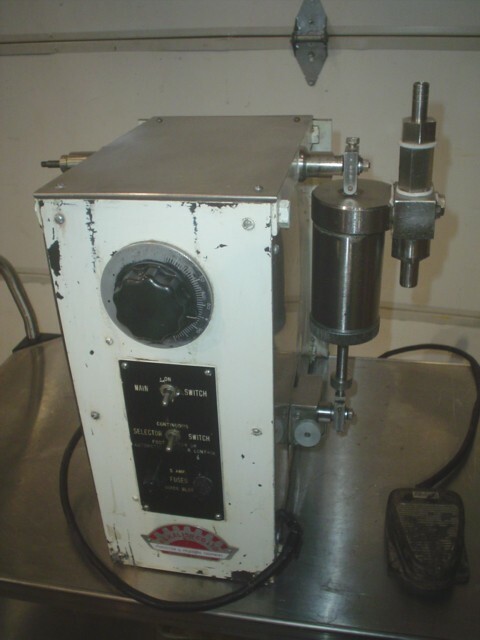 Used Kalish Single Station Piston Filler. Unit can be operated in Semi-Automatic Mode by Foot Pedal or Full Continuous Operation. Fill Volume up to 45ml. Nozzle Size: 1/2 Inch Diameter. Electrics: 110Volts.